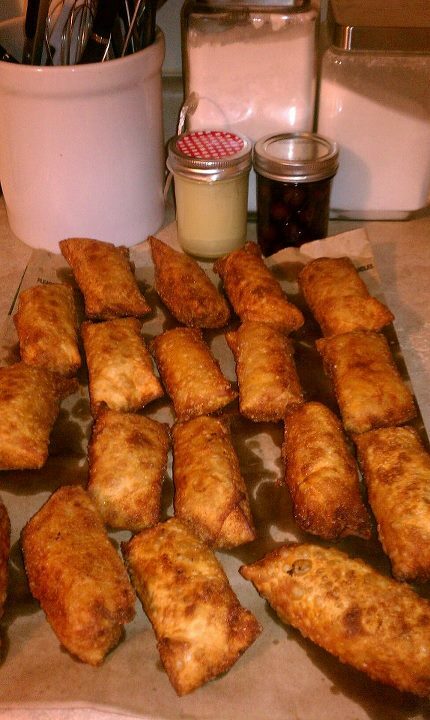 Homemade Egg Rolls, who doesn’t love those?!?!! 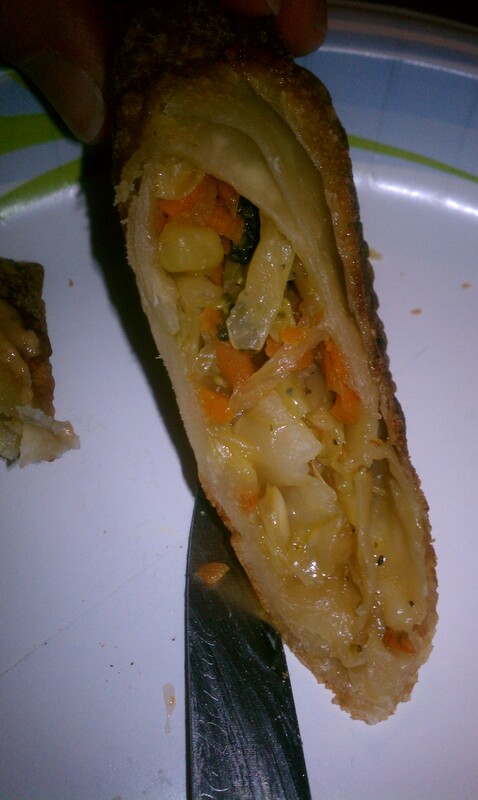 Warm little fried pockets of vegetable deliciousness, tucked away inside a crispy, yet soft on the inside, little cradle of fried love. Well now you can make them yourself. I should address my lack of writing. I haven’t posted in a while, a LONG while. I also haven’t shown you my tattoos, partially because they aren’t finished yet (long and FRUSTRATING story, and partially because, when it comes to actually revealing things about myself, my inner workings, why I am the way I am; I find it hard to do, it takes some time, and it doesn’t come naturally. Post half-naked pics online, yes I can do that, actually bare my soul, ummm yea not so much. Sweet Baby Jesus in a KingCakeTail!!! Moving on, one of my super spectacular, amazing, inspiring friends, Kerry, came up for a visit. Kerry is freaking awesome, seriously, I haven’t laughed that much in a long time, maybe years. We ate, we drank, we watch old movies and then ate more. Oh and fell asleep on the couch in the middle of the movie Salt, woke up to the credits rolling. EPIC good times were had! Kerry is a vegetarian, considering I’m the queen of meat I know that seems crazy. So I resolved share with her some of my favorite vegetarian throughout the weekend; after all we did tell Teesh (that’s her hubby’s nickname) that I would give her some badass cooking lessons. We also invented cocktails, above, you will see the sweet Baby Jesus floating in a King Caketail!!! 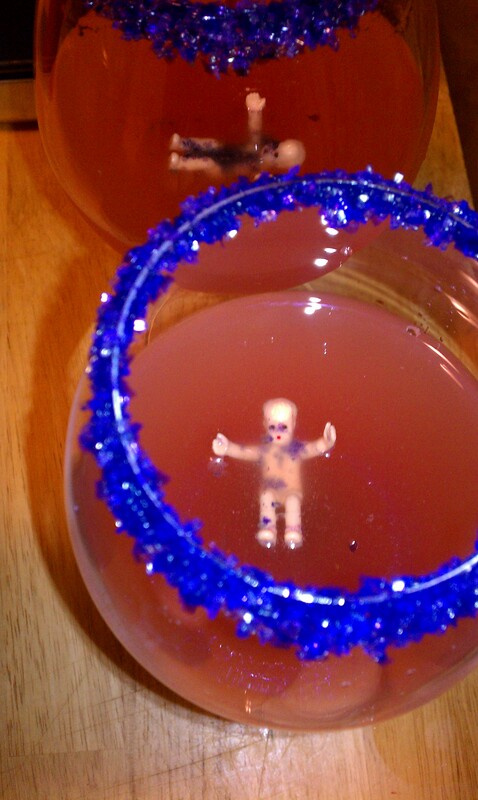 Since the Baby Jesus gets baked into King Cake, we felt it appropriate to include him in our libation. 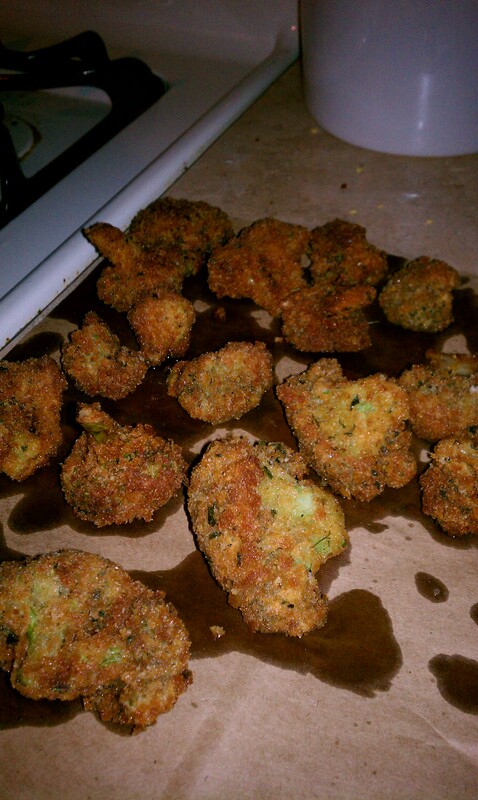 Fried Broccoli, mmmm mmm good!!!! 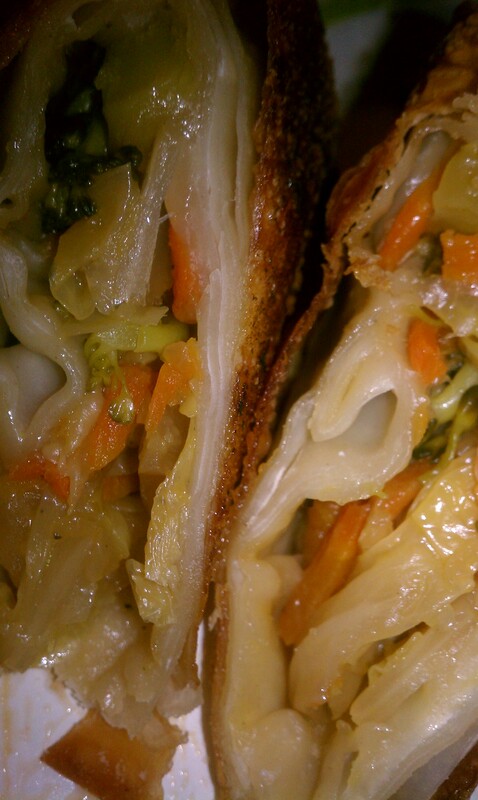 I can’t remember everything I made, but the two most important things were fried broccoli, and egg rolls. 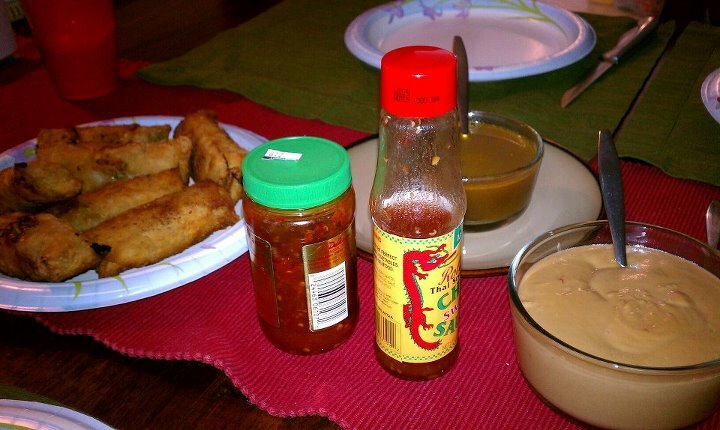 I’m not going to tell you how to make fried broccoli with siracha mayo, maybe another time, but not today; however I am going to tell you how to make egg rolls. Allow to cook till it’s done. It will cook down a lot. To know when it’s done you just have to keep trying it. A rough job I know. It’s a hard knock life. When it’s finally done, using a slotted spoon transfer it to a bowl that you can work from to make the rolls. SAVE THE JUICE!!!!!!!!!!! This is why we use a slotted spoon to retrieve the goodness from the pan. The sauce left after you have removed the filling cooks down to a delicious dipping sauce!! To fill, roll and fry the egg rolls. What happens next is hard to put into words, check out this GREAT video here http://www.youtube.com/watch?v=FJTdKyDg_2Y to learn exactly how to wrap them! Now that all your little rolls are rolled, remember that pan you washed and filled with oil? Turn it on medium to medium high heat. Let it warm up for a good 5 minutes, place your hand over it (NOT IN IT) and see if you can feel some heat off of it. If you can’t, give it another 5 minutes, if you can feel the heat then you are ready to rock. Place a roll in the oil, it should immediately start fiercely bubbling and crackling, if it doesn’t, wait to add any more rolls until that one starts singing. Let them enjoy that oil bath until the side you put them in on is beautifully golden brown, and them flip them over (tongs work best) and then let their other side get nice and golden. When they are the color you desire, take them out, again tongs work best, and place them directly onto the paper bags. And don’t forget the dipping sauce!!!!!!! As this post has turned out to be SUPER long, I will just have to write another with the King Cake Tail recipe, but don’t worry I promise to not take as long to write that one!!! Enjoy and remember to share!